A team from the Massachusetts Institute of Technology has revealed designs for passenger pods which tend to travel through airless tubes. The Hyperloop is said to be a conceptual transport system wherein passenger of pods could be fired through vacuum tubes at more than 600 mph or 1,000 km/h. 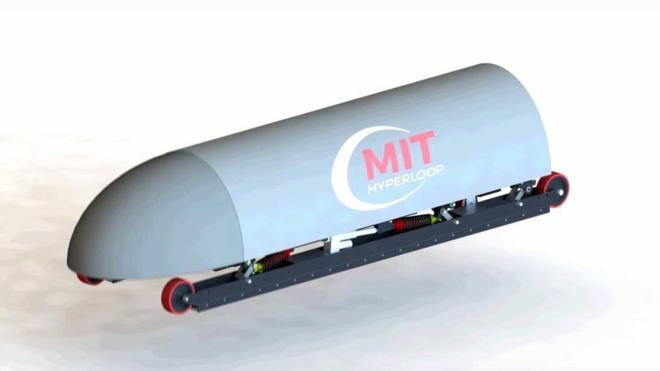 The MIT team first came in a SpaceX competition in designing pods which could be experimented in a prototype tube and would now have the opportunity of building and testing its design in the U.S. Over 115 teams had entered the design competition with the MIT engineers making attempts for the Best Overall Design prize. What is envisioned to be done with Hyperloop was to spur interest in new forms of transportation’ and Musk is of the belief that it will happen. `It is clear that the public as well as the world would want something new’. The MIT team beat over 100 other design teams of students from across the world, in order to win the award for the best overall design. The captain of the winning team, Phillippe Kirschen, a master’s student in aeronautics and astronautics commented that `MIT has been involved in so many technological breakthroughs in the past century and it makes sense that we could help advance what might be the future of transportation’, as reported in MIT news. But the team has assimilated a fail-safe brake system in order to stop the pod in case its computer system tends to fail to operate. It is said that the MIT team together with 21 other students-led groups had the opportunity to graduate to the next level and experiment their designs on SpaceX’s mile-long test track. The team is said to now concentrate on testing out its braking system using advanced magnets to plunge their pod at a speed of 100m per second. By mid-May, the final assembly of the design would be preferably ready for testing. Envisioned concept of a `fifth mode of transportation’ the Hyperloop was announced by Elon Musk, the entrepreneur and tech titan in August 2013. The concept involved high speed transportation of cargo and passengers aboard a `pod’ which would travel within airless tubes. Though SpaceX had mentioned that it had no plans of commercialising Hyperloop, it however prefers to quicken the progress. Presently the tech company is said to be developing a mile long track in California that will be utilised in experimenting several pod designs in the forthcoming months.